Now that the work on the roof is complete we can now turn our attention to internal repairs; work on the ceiling of the north aisle. This is now expected to start after Fr. Philip's Instution. It will involve scaffolding and dust partitions. Full details to follow. Details of Safeguarding in the Parish can be found here. 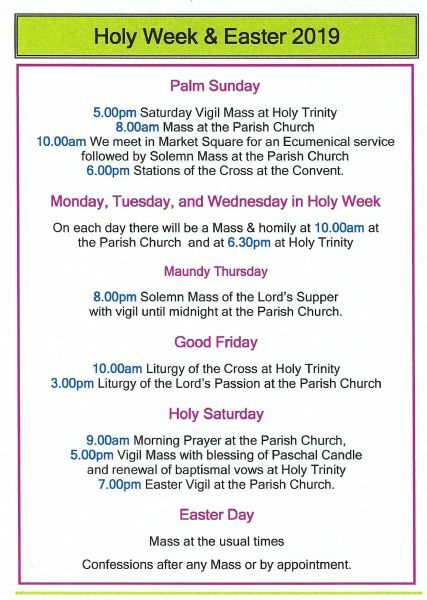 Don't forget to check the Parish Diary here. It covers both churches and has up-to-date information about all regular and irregular services as well as occasional events such as concerts, festivals, fund raisers etc.